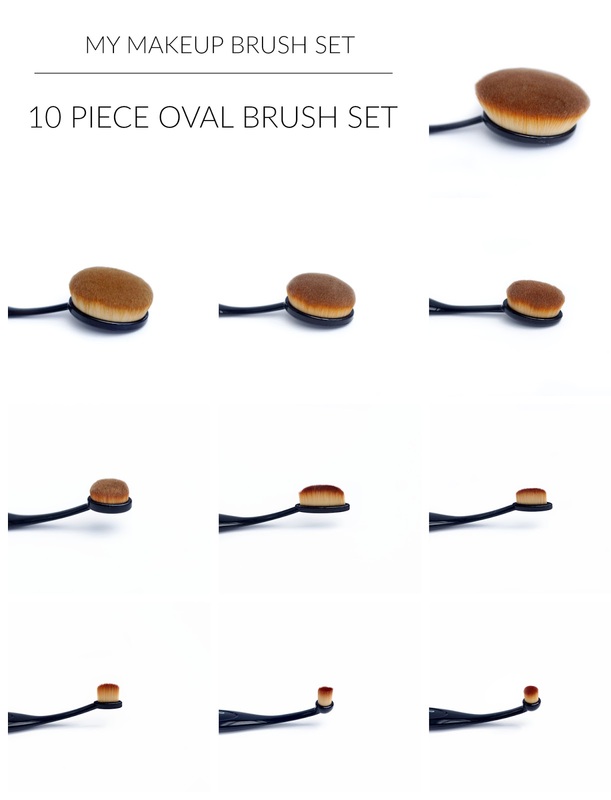 ARTIS OVAL BRUSHES - £20 DUPE SET? They're unusual, they're different, they're raved about, and they're pricey. 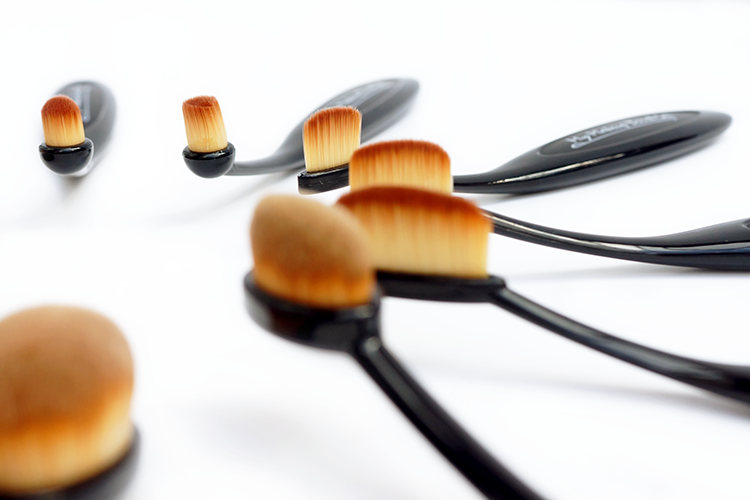 The Artis Oval brushes - you've all seen them, but would you want to drop two hundred and eighty four pounds on them?! Not I. Whilst you'll see me happily spend what might be considered over-the-top money on a gorgeous cheek palette, I am just not the girl to splurge on makeup brushes. So when I got a chance to try a dupe set of 10 oval brushes that is an amazing 14 times cheaper, I wanted to take on the investigation and share with you the good, the not so good, and most importantly, are they worth it? I've heard a lot about the My Makeup Brush Set 10 piece Oval set, there's a lot of sponsored content on them, and a lot of the information is pretty conflicting. Some rave about them, others say they're pretty rubbish and not a patch on the real thing, there are even differences on how they look and how they're packaged - so let's see how they fare. Whilst I've seen a lot of sets arrive in boxes, mine came in a velveteen pouch, with little plastic sleeves. It's hardly luxurious but a) the budget is obviously not being spent on packaging, keeping costs down and b) it's not like I would have kept them all in the box when using them so it's not a deal breaker in the slightest for me. I was supposed to be receiving these rose gold brushes, which I think we all agree, are far prettier! But unfortunately due to some kind of mix up, I ended up with the plain black set, a bit disappointing after waiting about 3 weeks for them (apparently they're overwhelmed with orders so obviously popular!) Mine have the My Makeup Brush Set logo down the handles, although I've seen many that are plain and unmarked. There are no individual brush names or sizes either so I'm just going to run down from largest to smallest. You get 10 brushes in the set - 5 fat, oval brushes, 3 slimline and 2 cylindrical, exactly the same as the Artis 10 brush set, except these brushes come in at a mere £2 a brush?! The handles are a sleek, black plastic that have a lot of give towards the neck of the brush. Especially for the larger brushes, this might be a bit of a problem if you don't support the brush head but I actually find it most natural to place my second finger behind the brush head, in which case the bendiness isn't an issue. Let's move onto the brush heads themselves as that's the bit that matters. There's a little disparity in quality across the 10 brushes so let's break it down. To shorten the story, the 5 oval brushes in the set are excellent. They're incredibly dense, with so many tightly packed bristles. Some people have reported shedding but I'm glad to say I've had none whatsoever. 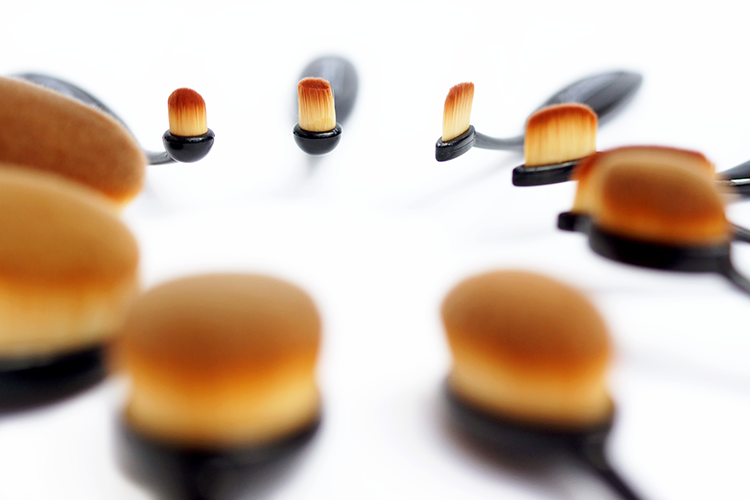 Brush 1 and 2, the largest of the bunch, are perfect for applying products to the whole face. 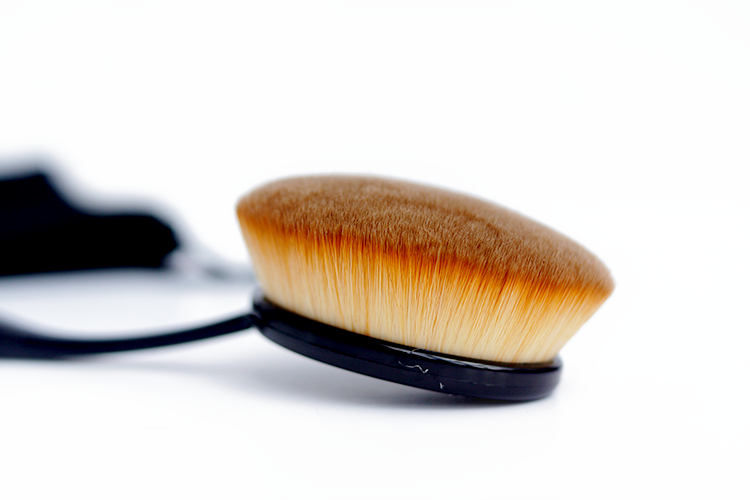 Brush 1 I like to save for blending foundation right down the neck or applying any product to the body - shoulders, decollete etc. Not it's intended use but it smoothes down flyaways around the hairline excellently too. Brush 2 is the perfect size for foundation and applies it like a dream, whether they're lightweight like Holika Holika's Aqua Jelly BB or thick and stiffer in texture like my Tom Ford foundation stick. I've heard people say they give a heavy coverage but that's not necessarily the case, I just apply less product for a lighter coverage. Just a quick sweep over and the product is blended in an instant. 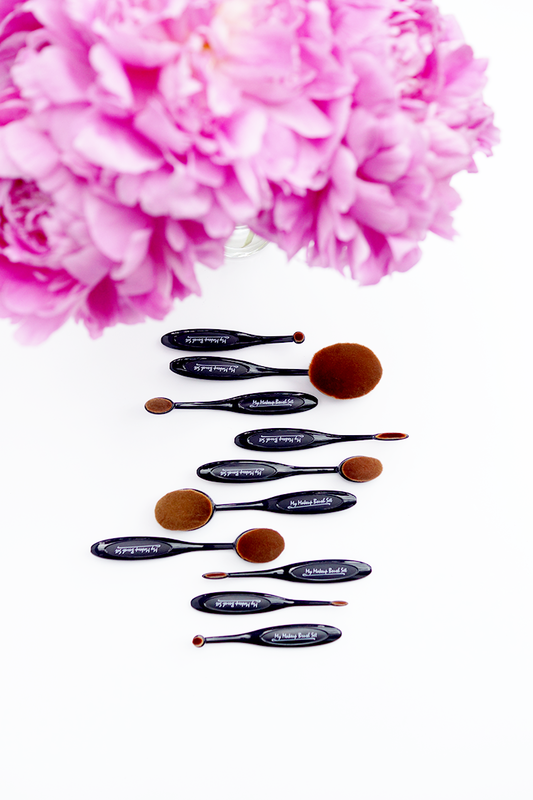 Brushes 3-5 are just the same in quality, and the smaller size makes them perfect for blending around the nose, inbetween the brows and near my eyes, or smoothing out cream products on the cheek, like blush or contour. I like to use them to blend out Stila's Aqua Gel Bronzer around the periphery of my face for some warmth and shading, or with cream blush sticks like my fave, this Chanel one. 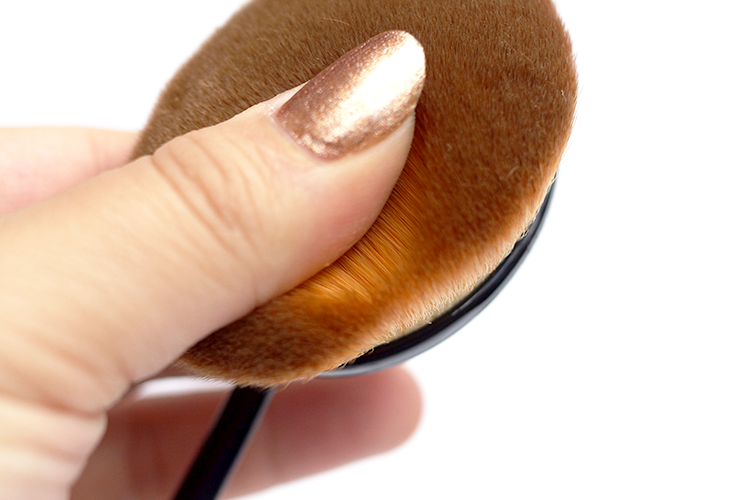 Blending out is effortless, and much quicker than with a beauty sponge or even your fingers, leaving a seamless, truly flawless result - who'd have thought £2 a brush could get you that? Brushes 6-8, the slimline brushes, are where it goes a little downhill for me. Their bristles seem a little too long and not as densely packed as their 5 oval brothers, making them a bit tricky for eyeliner etc, and I haven't found another use for them. Brushes 9 and 10 are both cylindrical, although one has a flat top, and on the other it's domed. The flat top I don't really care for, again, the bristles are a bit too long, and on my brush they came a bit wonky and crooked, but the domed brush is another winner. It's actually great for creasework, blending out concealer, inner corner highlights, blending highlight under the brows - in fact any more detailed work. I think all in all these are a great buy. Even with the four brushes I wasn't keen on, it still works out at just over £3 for each good brush, and I'm pleasantly surprised by the quality of the brush head - they're an excellent choice for cream products. If you've been spoiled by high end brushes, this is obviously going to be a step down, but are the Artis brushes 14 times better than these? No. By all means, if you want to splurge on this Artis set, I don't think you'll be disappointed, but as a far cheaper alternative, I give these a big thumbs up. Although go for the rose gold ones! 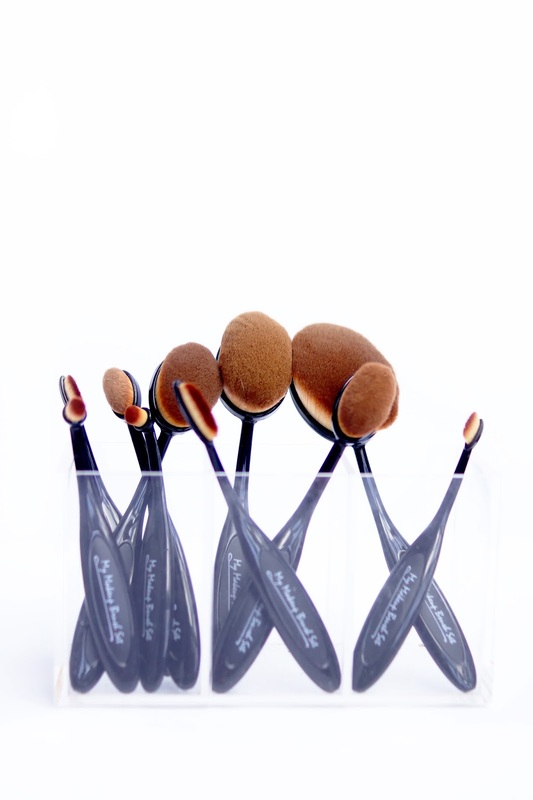 Have you tried the Artis brushes or any of their dupes? P.S Have you seen these ridiculously beautiful new highlighters from Bobbi Brown? Awesome, I just got these brushes but I haven't tried them yet. 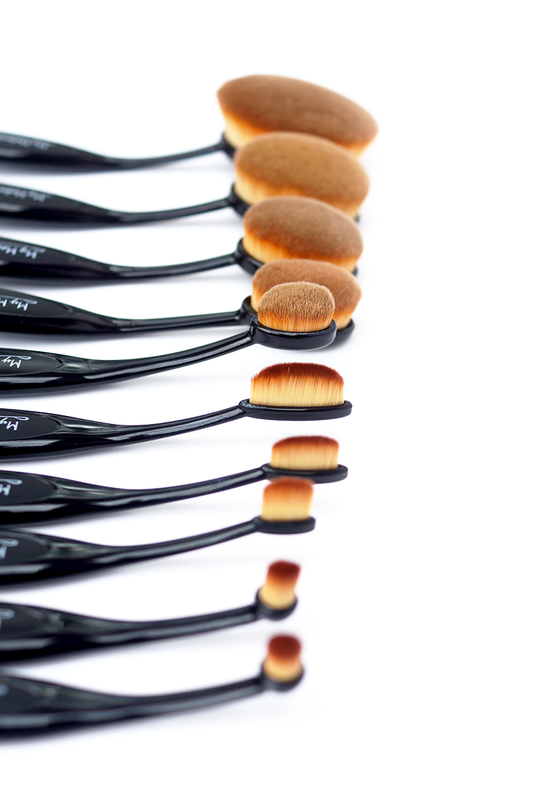 I am super excited to test them out and I definitely will not be splurging for the Artis brushes! Thank you for sharing this :) I must try some. My friend recently picked up one dupe brush and swears by it so I might have to try this set!